I am grateful to God for my recent experiences as a participant in the second Global Anglican Future Conference (GAFCON2), which met October 21-26 in Nairobi, Kenya. With nearly 1400 delegates from around the world, it was the largest conference of faithful Anglicans in history. Over 330 Bishops attended (30 of whom were Archbishops), and they brought with them priests and laity from almost 40 different countries. They embodied the richly diverse constituency of the global Anglican Communion. No other international gathering has represented so many Anglicans. The Anglican Church in North America (ACNA) has been identified by the GAFCON Primates Council as the orthodox province for Anglicans in the United States and Canada. 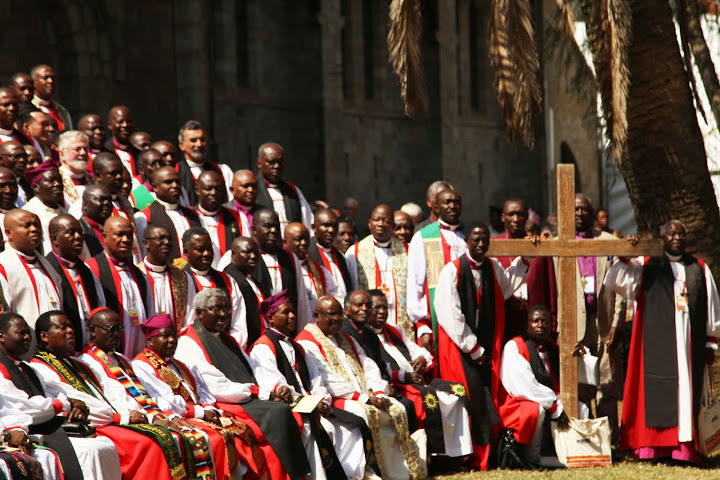 By unanimous vote of the Bishops meeting in Nairobi, the Primates Council will expand its role in supporting and recognizing Anglicans in places where Biblical faith has been compromised. This will include not only recognition of provinces and dioceses standing against revisionism and secularism, but, where necessary, will also entail consecrating new bishops. It is often said that GAFCON is dominated by the evangelical wing of the Church, and in many ways, this is true. There is a kind of evangelical flavor to things. However, Anglo-Catholics are welcomed and affirmed as full participants in the movement. All three of the traditionally catholic dioceses here in the United States - Fort Worth, Quincy, and San Joaquin – were represented in Nairobi. Anglo-Catholic representatives were also present from other provinces, such as Tanzania and West Africa. But let’s face it: The reality is that Anglo-Catholics have never been the majority in the Anglican Communion. However, we have faithfully maintained a vital witness to the catholicity of the Anglican Church, both in the theology of the Sacraments and in the practice of the Apostolic Succession. We are the bearers of the rich catholic heritage of the Tractarians and the Oxford Movement fathers, and we continue to view such things as the Prayer Book tradition and the 39 Articles from that historic, theological perspective. On a personal level, it was a pleasure to meet the new Archbishop of Canterbury, Justin Welby, on the flight from London to Nairobi. He just happened to be seated directly in front of me, which gave us the opportunity to chat and to get to know one another for the first time. Surely it was a “God moment” at the opening Eucharist of the conference, when at the time to receive the Sacrament, I found myself kneeling right beside Archbishop Welby at the high altar, and we looked up to see that it was Archbishop Bob Duncan who was delivering the Host to us. How I wish I had a picture of that moment. More will be said about GAFCON and there is certainly a lot out there on the internet about it, should you wish to pursue it. For now, let me thank our delegation who accompanied me to the conference: Debbie Petta, Dean Ryan Reed, and Fr. Christopher Culpepper. We were also grateful for the efforts of another diocesan priest, Fr. Michael Heidt, who was there as a member of the press. In closing, I will simply observe that GAFCON has proven to be an instrument of communion and unity in the Anglican world. It is a reminder that we do not stand alone in our defense of the catholic faith and of the authority of the Holy Scriptures. We stand with millions of others - the vast majority of Anglicans across the globe - as we contend for the faith once delivered to the Saints. May God bless us and sustain us in this witness in the days to come. The Rt. Rev. Jack Iker is the Bishop of Fort Worth.